The American mink (Mustela vison) and the three different kinds of weasels native to North America all belong to the Mustelidae family. They share many similar characteristics. All have a short, long body with rounded ears, possess silky coats and have an affinity for the water. Differences between the mink and the weasel are in terms of habitat, behavior and size. The American mink has a wide range across the continent, absent only from the desert Southwest into southern California and north to central Utah. The least weasel (Mustela nivalis) lives mostly in the northern portion of the continent, from the Upper Midwest north through most of Canada and Alaska. The short-tailed weasel (Mustela erminea) has a similar range to the least weasel, but it also occurs in the Pacific Northwest and parts of the Rockies. The long-tailed weasel (Mustela frenata) has a range nearly identical to the mink, except that it lives in areas like western Texas and most of New Mexico. 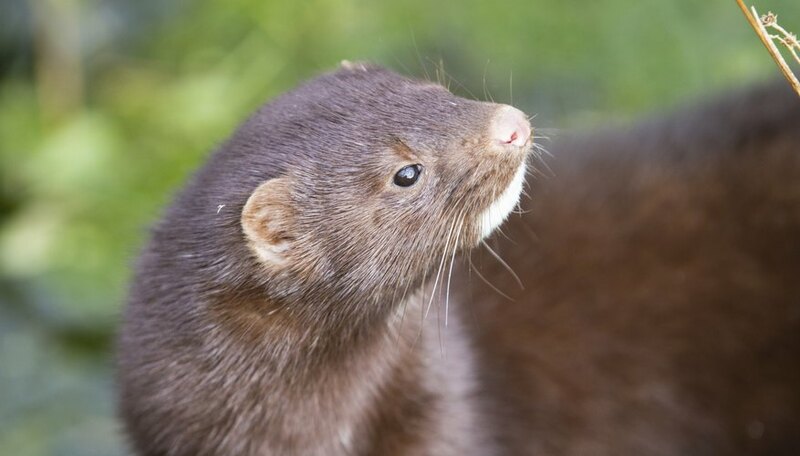 While the mink is just slightly longer than the largest of the weasels – the long-tailed version – it is nearly three to four times heavier on average. The long-tailed weasel reaches lengths of 22 inches and weights of 10 oz. in the largest males. The biggest mink can be up to 28 inches long notes the “National Audubon Society Field Guide to Mammal,” and weigh 3.5 lbs. In both minks and weasels, the tail comprises as much as one-third the total length of the body. Mink never stray far from a source of water, inhabiting woodlands near rivers, streams, lakes and ponds. Mink are so at home in the water that they possess slightly webbed feet, states New Hampshire Public Television Nature Works. Weasels also live in proximity to water and wetlands, but inhabit farmlands, brushy wide-open spaces, grassy fields and deep forests as well. Mink usually bite the neck of their prey to kill it, while a weasel crushes the skull of a potential meal with its teeth. Weasels have higher metabolisms than minks and need to constantly hunt and eat. Weasels concentrate on smaller animals such as voles, moles, mice and chipmunks; mink tackle slightly larger prey like muskrats, snakes and rabbits. 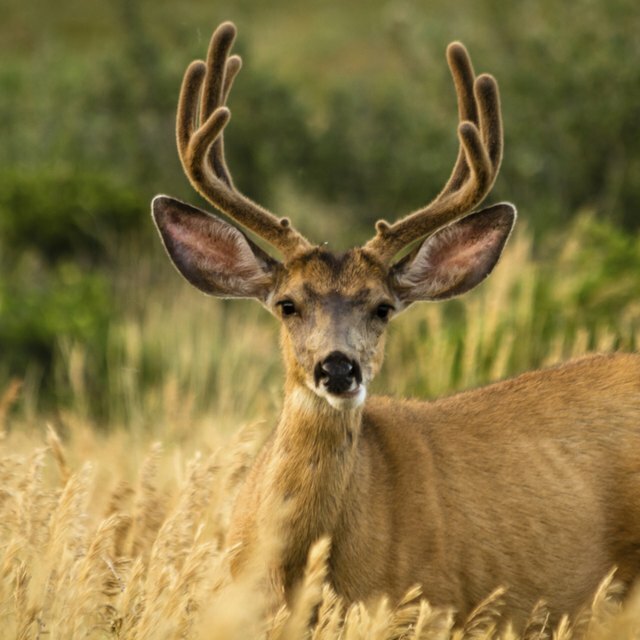 Both carnivores devour insects, eggs and birds. In the northern portions of their ranges, weasels acquire a white winter coat for camouflage purposes, but the mink’s fur remains shades of brown to black. Minks are superior swimmers to weasels, with an ability to dive down in the water as far as 16 feet. Mink and weasels both have scent glands used to mark territory and used to spray an enemy. Minks and weasels both cache away any extra food they manage to capture for consumption at a later date. Lindell, John. "Differences Between Minks & Weasels." Sciencing, https://sciencing.com/differences-between-minks-weasels-8608885.html. 05 April 2018.